Is A Sugar Tax A 'Sweet Idea' Or A 'Rotten' One? | Life, Sport and Diabetes - An everyday look at my life with type 1 diabetes. Is A Sugar Tax A 'Sweet Idea' Or A 'Rotten' One? 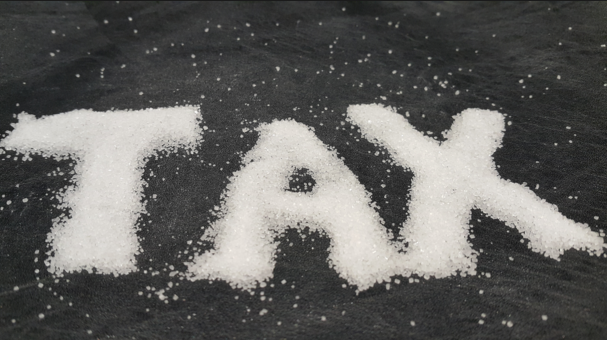 The idea behind the sugar tax is to help curb the growing epidemic of obesity and associated conditions such as type 2 diabetes and cardiovascular diseases which are costing the NHS millions of pounds every year. Research suggests that 1 in 16 people has diabetes (diagnosed or undiagnosed) in the UK, with 4m people living with the condition now (Diabetes UK, 2015). Type 2 diabetes differs from type 1, and is related to the body's inability to make enough/ effectively use insulin. Sometimes it can be related to poor diet and obesity, and is becoming worryingly prevalent amongst some young overweight people amongst low income sectors of society. So this is where the sugar tax comes in, because it's estimated that taxes such as this hit the poorest 1/5 of society. With research stating this sector spends 37% of disposable income on paying taxes just like this one (Guardian, 2015). However, as yet there's not much evidence that taxation on sugary foods will actually make consumers buy more healthy alternatives. It's my own opinion that education on nutrition would be a great way for people to make an informed decision about what they eat. I also think that a subsidy should be put on healthy foods such as fruit and veg so that when both children and adults are given the choice between a chocolate bar and a piece of fruit. That the piece of fruit is not the more expensive choice for them to buy. You might have seen in the news and TV that sugary drinks are having a particularly harsh time in the media, for containing too many 'empty' calories. But interestingly in the USA sugary drink consumption has deceased by 25% (Guardian, 2015). Not through taxation however, but through better education and food labelling. Which brings us also to what potentially negative impact a sugar tax could have on people with diabetes, especially type 1. 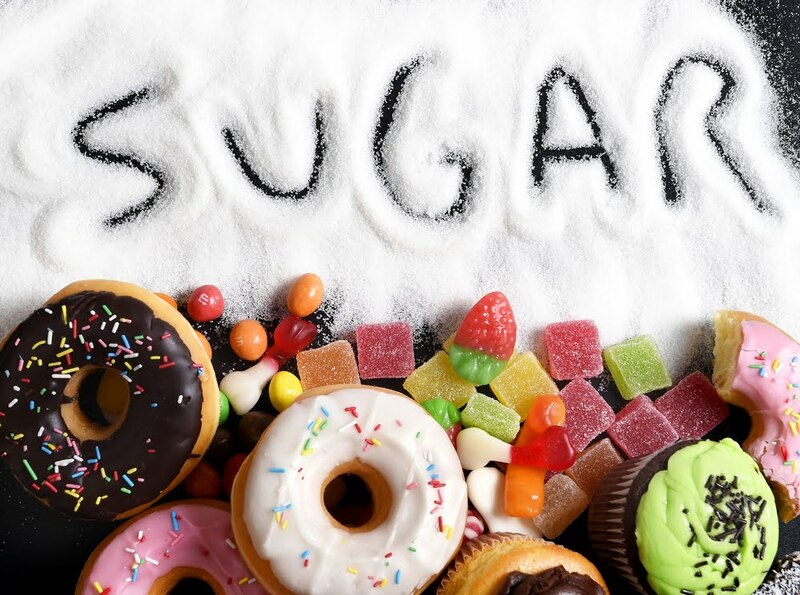 As many of us depend on sugary drinks and snacks to treat hypoglycaemia. Which is when there's too much insulin in our system and blood glucose levels drop dangerously low and need sugar to balance them out again. So would taxing hypo treatments mean that people with type 1 end up paying more for arguably essential items? So I leave you with the question, is sugar tax a good idea or a rotten one? I agree that educating people on Nutrition is the right way to go regarding solving the high sugar usage these days, but I do believe taxing it is a good direction to go! If we tax things such as Coca cola and other sugar filled drinks people may start to think differently about buying them. Unfortunately Coke is a huge global company as are many other sugar filled drinks and food companies (Mcdonalds, Burger King, Pepsi etc) so the amount they throw into advertising which then tempts people is almost unstoppable, so we need to educate people in the first instance. Now you say is it fair for those with Diabates to have to pay tax for something that is essential to them....Is it only added Sugar that can help someone with Type 1 or can it come from say fruit also? I think if we can go forward with people consuming less Sugar then our obesity rate will drop, which will then affect our diabetes rate to right? Educate parents, educate kids and it will trickle on to the next generation, I think we're currently going through a health craze right now and people are going to the gym more often than they seemed to be 15-20 years ago and people are starting to learn more and more about what they should be eating so in the next 20-30 years we may see it is moving in a positive direction. Hi Warren, thank you for your comment and sharing your thoughts on sugar taxation. You raise some really interesting points there, especially around advertising related to sugar, and that cost inflation would make many people think twice about their purchasing decisions. Regarding fruit and sugar/ its treatment for low blood glucose levels, it's not recommended because in some ways it's a different type of sugar that basically doesn't act fast enough to prevent someone with Type 1 getting worse in terms of their hypo symptoms. On the topic of fruit, the other day I went to buy some fresh apples just for day to day consumption from my local supermarket and when I weighed them, as there were two, it would have come to £1.50 to buy them. Which is am incredible price for fruit. So I think if I sugar tax is to go ahead, which I support if evidence suggests it will be most effective in curbing obesity. Then subsidies have to be put towards fresh fruit and veg, perhaps even from the tax revenue itself. Pretty expensive for Apples I agree. As I am not a diabetic is it easy to have your sugar levels drop? Or is it because of recklessness? If there was a tax on Sugar then those with diabetes would then think differently about making sure their levels are right each day without the need of such drinks/products? But if that isn't the case then I guess paying a bit extra for a good purpose such as your health isn't SO bad and buying say a can of coke to bring your levels up would be a purchase every now and then not daily right?....I mean to eat clean and organically which some say is the best way costs more than the alternative, and most can't afford to eat the best meats as they cost more which is a shame but then maybe making the price of sugary drinks and cereals higher for example would also have the same effect and price people out? Unfortunately it is tough to glamorize Water and advertise it in a great and fun way, yet it is the cheapest thing to keep us healthy! Some controversial comments there Warren, unfortunately hypoglycaemia (low blood glucose levels) are often a symptom of the drug we have to take- insulin to treat our diabetes. Insulin only works one way to push glucose from the bloodstream and into the muscles, whereas within someone without T1 the pancreas would only releases the insulin needed and does not 'overshoot', as artificial means can do. Also, type 1 is an autoimmune disease and sufferers have done nothing to warrant having the condition, but must live with it all the same. Including incurring the costs of treating symptoms such as lows. It has long term health implications to run glucose levels too high. But you are correct in saying that a range between 4.0mmol and 10.0mmol is desirable for people with diabetes to maintain. The benefits to the many, especially for those at risk of obesity and or diabetes related health complications are very important. Which of course has to be the priority over money and cost. I feel though that it must also be considered that, as you mentioned about choosing to eat organic food, what we choose to buy and consume is a choice. Therefore this highlights the absolute importance of education in the promotion of making good choices towards healthy eating. I guess my argument is more directed towards those with type 2 as that is brought on mainly by bad dieting? Am i wrong? I know that Type 1 is an autoimmune disease which means the affected person isn't at fault and hasn't done anything to warrant being T1. So those with T1 constantly needs that additional sugar as the pancreas will give the bare minimum of insulin? The mass problem is minimizing those with T2 due to overloading on food and drinks that they think is fine but is actually having fatal results in the long run, I also believe that bad dieting and sugar overload can lead to other problems not just diabetes but people don't believe it until it happens. I guess those with lesser money, in poorer areas will always rely on cheap and quick food which is always the worse type of food. Sometimes the quicker it is to make and cheaper it is, the worse of it is for you. I am sure there is probably a trend in health and the social class....Middle class parents can afford better products and are better educated so will therefore have more knowledge and money to provide their children with quality food, but lower class will buy what they can to feed their kids and that is where the problem can lie, cheap, sugar filled food and drinks which spikes their GI levels which I believe can have an effect on a childs concentration levels and progress in school as if they start their morning with let's say 'Fruit loops' cereal, by mid morning they will have had a Sugar crash and will feel fatigued until they can refill at lunch and it will happen again mid afternoon if they have a packed lunch filled with high GI foods, and this can impact their concentration in school for example...But that is a completely different argument! haha.